The hostel - Surya Kiran - ein Sonnenstrahl für Kinder e.V. 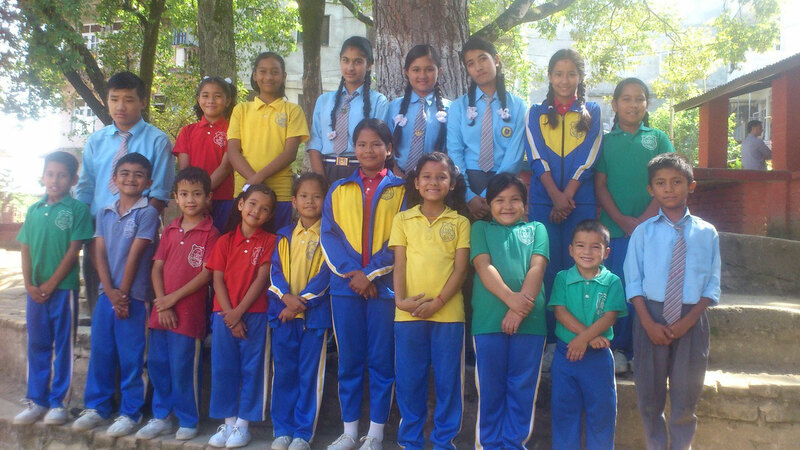 In 1981 the SDB School was founded in Lalitpur, Kathmandu (Nepal) with the aim to help poor and underprivileged children of the area to get a school education. 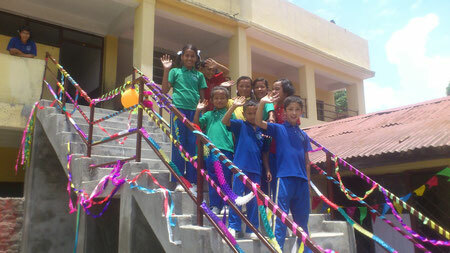 The school is named after Sahid Dharma Bakta, a martyr who committed himself to education, democracy and human rights. During many journeys in Nepal I have felt a growing desire to do something for the people of this country. Concretely I wanted to make it possible that children from poor families will get a good education. Since 1998 there is a close contact with Anupendra Acharya, a Nepalese school manager. This has led to a project of school sponsorship by which 19 children are supported meanwhile. I have been deeply affected by the enormous earthquake on April 25 and I feel a strong emotional link with Nepal and its charming people. Fortunately none of our children was hurt. However the family houses were partly damaged or collapsed at all. For this reason I started a project together with Anupendra Acharya so as to provide the most affected families with tents, blankets, food, gas, cooking gear etc. Some of the money was used to repair the biggest damages in the school building. With further donations we were able to build a new large external staircase which will be used in case of emergency. In addition, a classroom was secured with iron pillars and the cracks in the school were repaired. In July 2015 I flew to Nepal to get an idea of the situation, to visit the school and the families and to coordinate the donation fund. After the earthquake some of the families cannot feed their children sufficiently, some have no home and live in tents or shacks. And I met some girls from broken families or half orphans who are living with their relatives now, working indoor or in the fields. In the worst case they are forced to drop the school and to work in a factory. This has caused in me the idea to found a hostel, a children’s home to give them an affectionate home with sufficient food, time for playing, a room for learning and to make a promising future possible for them . It was our target to inaugurate the hostel in October 2016 by the help of a sufficient number of members and sponsors. We are happy that we could manage it that the first nine girls will moved to the hostel already at July 29th, 2016! We give a home to underprivileged and needy girls, taken care by a hostel mother and a cook. Yoga and child-like meditation should be offered besides regular schooling. The girls will learn cooking and taking care of the younger "siblings." Learning in and from the nature is a part as well as the deliberate use of TV and new media. Parents or relatives may be asked to take a little share of the costs, if possible.